A bride has a million things to do before her wedding day . . . We know you’ve spent plenty of time finding the dress after looking at a million magazines, booked your venue, decided on colors and flowers and whether you should have a dj or a band . . . what a whirlwind! Understandably, while you’re doing that and making appointments for hair and makeup and getting some sunshine so you will have a nice tan in your photos, you may want to go to the gym so you look great in your dress, but really, who has time for that? We have a secret for Long Island brides that you don’t ever need to let anyone know about ;). 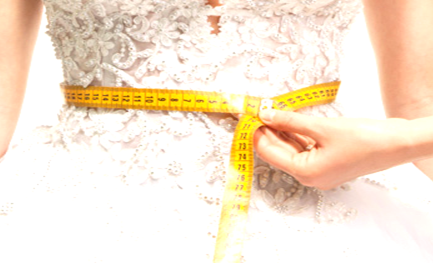 West Hills Cavi-Lipo offers the perfect way for brides like you to enhance your figure and make sure you look the best you ever have on your special day. Cavi-Lipo is pain-free, non-invasive, with no down time and it doesn’t require any special diet or exercise to help you lose inches of fat, reduce cellulite and tighten and firm your skin. Our treatments are performed by friendly, professional staff in a soothing environment. What better way to spend your minimal downtime than listening to some music, relaxing during your treatment and getting a lymphatic massage when you’re done? We know you can use a break. Come take your mind of all the things you haven’t done while discovering a thinner you at our convenient location on Jericho Turnpike in Huntington. Are you attending the Bridal Extravaganza 2016 – Monday, April 4, 2016 at 5:30 PM at the Huntington Hilton? Stop by and see us!